Corporate Sponsorship with the Vibration Institute provides unparalleled access to a global community committed to exchanging the latest information related to evaluating machinery behavior and condition. Corporate Sponsorship with the Vibration Institute provides unparalleled access to a global community committed to exchanging the latest information related to evaluating machinery behavior and condition. 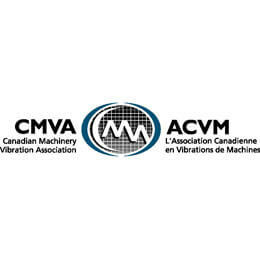 The cross-section of diverse industries represented within the Vibration Institute creates a dynamic forum for predicative maintenance of machines, resulting in increased production, higher profitability, greater safety and less stress on personnel. Corporate Sponsorship with the Vibration Institute is a wise investment for companies who value equipping their professionals to be better analysts and to solve vibration problems to ultimately increase the availability and reliability of equipment. Corporate Sponsorship with the Vibration Institute provides unparalleled access to a global community of professionals committed to exchanging information on the evaluation of machinery behavior and condition. The cross-section of diverse industries represented within the Vibration Institute creates a dynamic forum for predicative maintenance of machines that results in increased production, higher profitability, greater safety and less stress on personnel. Becoming a Vibration Institute Corporate Sponsor is a threefold investment: in the professional growth of a company’s employees, in fostering better analysts, and in solving today’s vibration problems for the longevity of tomorrow’s equipment. Become a Corporate Sponsor today! To apply for Corporate Sponsorship with the Vibration Institute please click here. If you have additional questions please contact the Institute directly at information@vi-institute.org. Effective January 2015, the annual Proactive Surveillance Program is being discontinued. Surveillance participation is being replaced by additional memberships and discounted recertification fees per category of sponsorship. Baker Hughes is a leading Australasian Maintenance Technology Sales, Services and Training company. Our purpose is to provide and implement machine condition monitoring products, service and training to enhance industrial companies’ profitability. Key industries include: oil & gas; power generation; pulp & paper; mining; steel & aluminum; automotive; food & beverage and chemical. Alstom MSc provides customer support, comprehensive consulting services, and multi-skilled professional staff. We are a leading training provider following ISO 18436-2 Category I to III courses and certification. Our highly qualified and experienced instructors provide both in-house and tailored on-site training. Alstom MSc is ISO 9001 accredited. We are a total solutions provider for our customers in the Industrial process business. Along with representing the Best-In-Class manufacturers in the business, we offer a strong, stable sales force to properly apply, train, and support these products. (CTC) Connection Technology Center, Inc.
CTC provides accelerometers, 4-20 mA sensors, junction boxes, mounting hardware, installation tools and cables for vibration analysis. Our products feature industry leading pricing and our unconditional lifetime warranty. Our Web site features a comprehensive listing of our product specifications, pricing, and warranty information as well as online purchasing. Vibration monitoring program audits, predictive maintenance programs, vibration analysis, equipment alignment - laser and optical, machine balancing, modal analysis, permanent monitoring systems design, training, engineering and installation of TSI systems. Hoerbiger is a global OEM and after market recip valve, ring and packing, piston, rod, parts, condition monitoring and capacity control system supplier. Hoerbiger has service facilities on every continent. Our LaPorte, TX facility is Hoerbiger’s flagship recip and rotating equipment repair operation. We repair all makes of recip compressors as well as many centrifugal compressors, expanders, large vertical pumps, split case pumps, steam turbines, governors, gear boxes, and rotary screw compressors. We have a bearing manufacturing and repair facility, an exceptional general machine shop, balancing stands, storage, and a surplus equipment yard. We offer complete field service support for the recip and rotating business. Horner Industrial Group is a regional leader in the Midwest providing industrial motor and rotating equipment repair and field maintenance services. Family owned and operated since 1949, Horner Industrial Group has built its reputation on integrity, standards of excellence and a commitment to customer service. Our services include but are not limited to: AC/DC Motor and Equipment Repair, Pump Repair, Gearbox Repair, Blower Repair, Servo and Spindle Motor Repair, Machining Services, Electrical/Mechanical Field Services, Hydraulic Cylinder Repair, Industrial Fan Rebuilding and Retrofitting, Custom Metal Fabrication, Thermal Spray and Industrial Coatings, Automation and Controls, LED Lighting, Transformer Repair, Predictive and Preventative Maintenance, Advanced Diagnostic Services, and Rotating Apparatus Product Solutions. A Division of PCB Piezotronics, Inc.
IMI Sensors, a division of PCB Piezotronics, specializes in equipment designed for industrial process monitoring and protection. 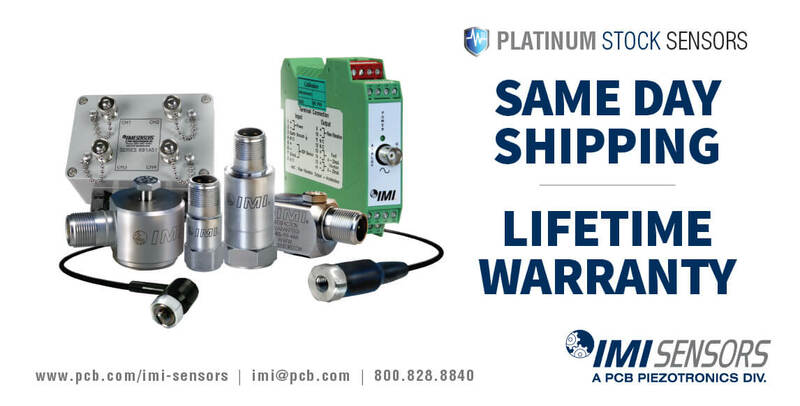 IMI provides a full line of ICP® accelerometers and 4-20 mA vibration transmitters for route based measurements, permanent installations, and affordable 24/7 online monitoring. Also offered is a comprehensive selection of electronic and mechanical vibration switches for alarm and shutdown protection of critical machinery; including the patented Bearing Fault Detector; and unique two-wire intelligent vibration switch featuring Magnetically Adjustable Vibration Threshold (MAVT TM) technology. Jay Industrial Repair, based in Birmingham, AL, sells and rebuilds a wide variety of electric motors. Rebuilds consist of simple refurbishments through total core and rotor rebuilds, rewinding and redesign engineered solutions. We have multiple service centers across Alabama as well as Medium and High Voltage Coil Manufacturing Plants and dedicated Rotor Rebuild Shop. Our Mechanical Group offers full on-site inspections and rebuilds of steam turbines, generators and equipment removal and installations. We also have a full Service Group dedicated to predictive and corrective technologies, including a full training center for employee and client training on a wide variety of industrial topics. RITEC is the Vibration Institute's sole, exclusive representative in the middle east. RITEC is the leading machinery condition monitoring company in the Middle East and provides complete services in Predictive Maintenance including Condition Monitoring, Vibration Analysis, Thermography Surveys, Rotordynamic Analysis, Balancing, Alignment and Machinery fault troubleshooting. RITEC provides complete solutions in condition monitoring, including products, services and training. In this regard, RITEC represents and supports in the Middle East, the products and services of the Vibration Institute, AzimaDLI Condition Monitoring Solutions, Kohtect Laser Alignment Tools, and CTC Vibration Measurement Accessories. TECO-Westinghouse Motor Company is a leading manufacturer of electric motors, with a full line of induction, synchronous and DC motors and generators available from 1/4 HP to 100,000 HP. We also supply motor controls and provide engineering services, genuine Westinghouse renewal parts, and large motor repairs. 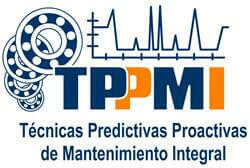 Técnicas Predictivas Proactivas de Mantenimiento Integral (TPPMI), is a Mexican leader Enterprise which offers services involving the new concept of the Proactive Maintenance; which consists in analyze the root cause of failure in rotating machinery; implementing the corrective actions and activities in order to increase the machinery reliability. Our company offers consulting services in Vibration Analysis, Laser Alignment, Field Balancing, Thermography, Ultrasound, Non Destructive Testing, Training Courses and Bearing Applications. TPPMI’s personnel is specialized in Vibration Analysis with training courses in Mexico and other countries obtaining the corresponding degrees and certifications, also TPPMI provides their customers with high technology in portable equipment and continue monitoring systems. The Vibration Guys™ is a world-class condition monitoring solutions company that specializes in vibration analysis, non-destructive testing, laser alignment, field balancing and other specialized services and diagnostic services for rotating equipment. We provide preventive and predictive maintenance for all industries utilizing rotating equipment including the oil & gas industry encompassing upstream, midstream, and downstream; petrochemical, chemicals, energy generation & transmission, food and beverage bottling and manufacturing, forestry, medical & specialty gases production, and other manufacturing specialties. We have pump specialists with over 30 years of field experience. We provide monthly customized predictive maintenance programs, commissioning services, special "call-outs" services that solve your vibration problems no matter when you need it or where you are located. We have pump specialists with over 30 years of field experience. Training classes including Level 1 through 3 Vibration Analysis conducted by instructors with real field experience. Now we are offer a 1 day Vibration overview for Managers, Techs and those just wanting a "walking knowledge" of Vibration analysis and the technology used. We can also provide training on your vibration technology including Ludeca, Pruftechnik, Emerson CSI, and other brands. We exclusively represent Benstone vibration analyzers and other instruments within the southern US. Specialty/Wire Rope Lubrication, Customized Lubrication Design, Lubrication System, Preventive/Predictive Maintenance Programs/Training, Vibration Analysis & Balancing Products, Laser Shaft Alignment, Condition Monitoring Equipment, Vibration Hardware, Noise Control / Monitoring, and Ultrasound Products/Inspection. We are a professionally managed company successfully providing Consultancy in the field of Vibration Analysis, Diagnostic Studies and in-situ Dynamic Balancing with proven results in more than 100 major industries in India. Our office is located in the heart of Chennai City, Tamil Nadu State, South of India close to IT hub. We conduct in-house Basic Training Programmes in Vibration Analysis for our customers at their respective plants. We are also the Indian representative of Vibration Instrument suppliers VMI - Sweden and have sales & service centre in Chennai. The world needs more energy. To keep people warm, to take them to school, to get them to work, to power where they work, to bring them back home, to cook their food, to chill their drinks, to give them a light to study by – to do no end of things that make people’s lives better. Can you create more energy for the world without compromising the resources of the planet? Some might say you can’t square this circle. We believe you can. By going beyond conventional ways of thinking and working, we will. In so doing, we will set the standard for what it means to be a performance driven, innovative, progressive, green company. There are 100,000 of us in over 100 countries going beyond. 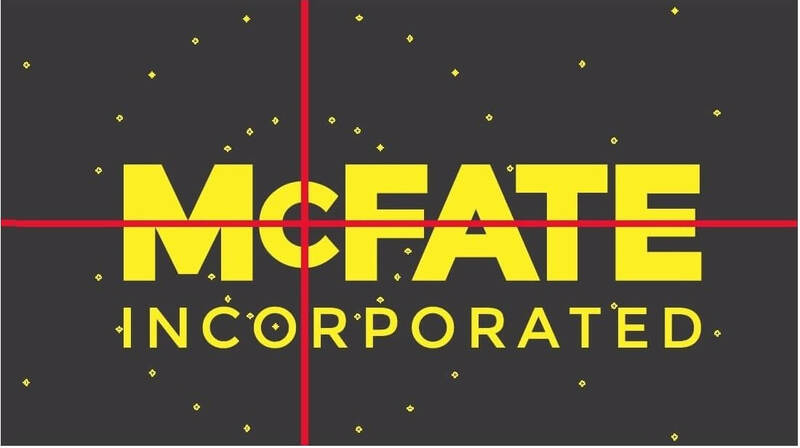 Together, we will become one of the world’s great companies and a power for good – a company renowned for its commercial strength and for its contribution to the world. 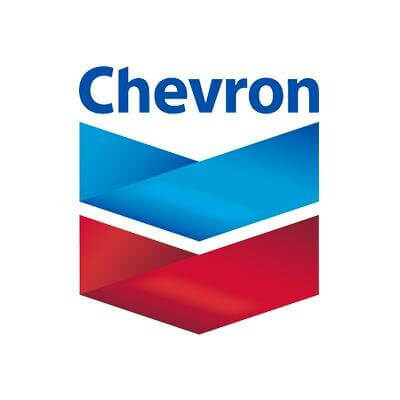 BP is an international company involved in the exploration and production of crude oil and natural gas; refining, marketing, supply and transportation of hydrocarbons; and manufacturing and marketing of petrochemicals, and solar and gas-fired power generation. 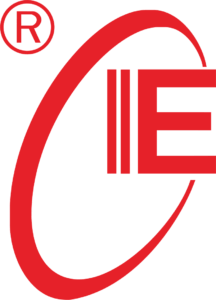 IME is a Colombian Company with 30 years of experience in the national industry providing motor rewinding services. We have a reliability department where we offer vibration analysis, thermography and dynamic electrical testing among others. 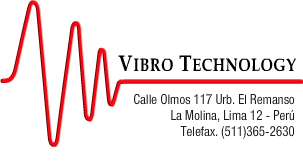 On the other hand, we are CIS-Emerson official distributors for Colombia in term of portable vibration analyzers, online vibration monitoring, wireless vibration systems and MHM Software. MDI is a full service company specializing in rotating equipment reliability. MDI employs PDM techniques such as:Vibration Analysis, Failure Analysis, Lubricant Wear Particle Analysis, Dynamic Balancing, Ultrasonic Detection, Laser Alignment, Thermography, and Motor Circuit Analysis. These services aid our customers in planning and scheduling maintenance repairs. In addition to our quality services, we offer products that are exclusive to our field. We are proud to be representatives for the "Maintenance Watchdog" wireless vibration collection system. The Metropolitan Water District of Southern California is a consortium of 26 cities and water districts that provides drinking water to nearly 19 million people in parts of Los Angeles, Orange, San Diego, Riverside, San Bernadino, and Ventura counties. The mission of the Metropolitan Water District of Southern California is to provide its service area with adequate and reliable supplies of high-quality water to meet present and future needs in an environmentally and economically responsible way. Metropolitan currently delivers an average of 1.7 billion gallons of water per day to a 5,200 square-mile service area. PDMS provides a full range of rotating machinery monitoring and diagnostic services. PDMS specializes in the setup and operation of Predicting Maintenance programs, and in performing advanced turbomachinery startup and diagnostic services. Field corrective services include rotor balancing, laswer shaft alignment, modal analysis, and ODS troubleshooting. PDMS also provides training which is specifically developed to meet the individual needs of our customers. TECHNOMAX Middle East Engineering LLC, established in 2005 in Abu Dhabi in the United Arab Emirates offers Condition Monitoring Services in U.A.E. and Sultanate of Oman. We offer services in Predictive Maintenance including Oil Analysis, Ultrasound Testing, Vibration Analysis, Thermography, Balancing, Alignment and Machinery fault troubleshooting. We have got certified engineers in the Reliability Engineering Services Division for offering products, services and training. We represent SONOTEC Maintenance Products for Ultrasound Testing, FLIR Products for Thermography, Schaeffler Technologies GmbH for Industrial After Market Products and associations with WEARCHECK for Oil Analysis. Our tool inventory includes GE, Sonotec, FLIR and Pruftechnik. VSC offers complete predictive services and support packages including setup, data collection, analysis, training, seminars, software, and hardware. BK Vision is a Korean partner of Bruel & Kjaer Vibro, the world's leading company of vibration business. We supply vibration monitoring systems and trouble shooting services to nuclear power plant, chemical, iron, heavy industry, etc. BK Vision provides not only the total solutions for rotating machinery, but also specialized consulting services for various areas such as structural dynamics, FEM analysis, and environment noise. BK Vision is also a certified training body (ISO18436-2) of KCI-MD (Korean Certification Institute for Machine Diagnostics) and has provided the vibration training of category I and II since 2007. In 2009, we added the category III course in our curriculum, which is educated by category IV certified instructor. More than 900 vibration analysts have been trained by BK Vision and we are proud of being the leader of vibration training in Korea. Based on our successful business performance and plenty of technical know-how and experience, we aspire to extend our service to overseas markets including southeast Asia. The objectives of BCMTech are: Provide training programs for industries that suitable for different applications in condition monitoring and provide as an International Representative of the Vibration Institute provide their training and certification. To provide industries with a suitable solution in condition monitoring and supply suitable instruments and train the technical team members. Carry out annual condition monitoring contracts. Coupling Corporation of America (CCA) has manufactured high performance flexible shaft couplings, rigid couplings and keyless hubs since 1968. Our products are designed for large rotating machinery, high speed equipment and other demanding applications. A world leader in test and measurement systems since 1984, Data Physics provides high-performance dynamic signal processing solutions to power, process, manufacturing, and other key industries that depend on mechanical asset reliability. With a full line of vibration analysis instrumentation and software tools for fluid-film turbomachinery, structural and modal analysis, and modal/inertial shaker applications, Data Physics is a total solution supplier for both the machine deck and factory test environment. DATUM is a South Florida based marine and industrial engineering service company. We specialize in laser and optical alignment of marine propulsion systems and many other types of rotating machinery using state-of-the-art tools. We can perform diagnostic and periodic noise vibration surveys to class rules. We provide mechanical services including but not limited to isolation mounts, seals and bearings. DATUM is an American Bureau of Shipping (ABS) recognized external service provider for condition monitoring and have ISO certified technicians on staff. We are fully licensed and insured to provide 24/7 worldwide service. Predictive Maintenance Contracts: Periodic monitoring services for dynamic equipment working condition in all industry activity sectors. 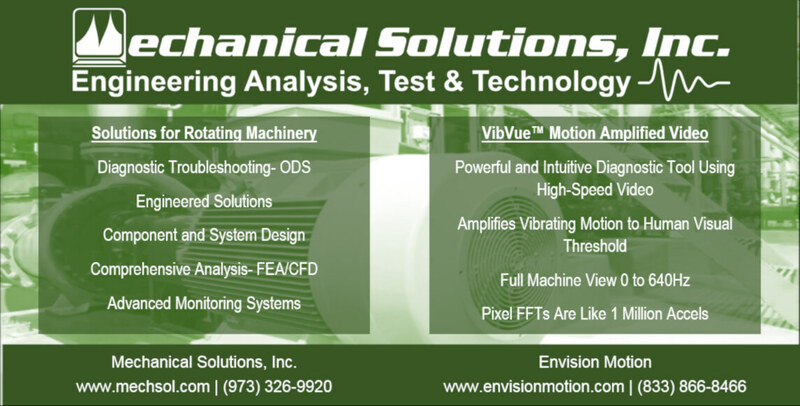 Analysis Technologies: Vibration Analysis, Thermography; Current Analysis in AC Motors. On-site Balance: Unbalance is one of the main causes of the high vibration levels in rotary equipments. On-site balance services provide a quick and effective way to eliminate one of the main causes of breakdowns in rotary dynamic equipment. Tele-maintenance Services: These services include the supply, installation and maintenance of technology for on-line monitoring condition systems in dynamic equipment. This service is specially intended for the installation's critical machines, for which it is essential to continuously control its operation condition and to have readily available, specialized human resources in analyzing the data collected by the system. Shaft Alignment: Supervising and execution of alignment services using laser measuring equipment. From wireless technology to continuous online monitoring and portable, route-based analyzers, Emerson is the single source for vibration analysis solutions that optimize your mechanical assets. In today’s do-less-with-more environment, maintenance personnel can’t afford to continuously chase the next breakdown. With a proven track record of implementing plant-wide predictive diagnostic solutions, you can count on Emerson to provide powerful yet easy-to-use technology that delivers the information you require to keep your machinery running smoothly and prioritize your maintenance activities. For over thirty years the Erbessd family of companies has been leading the industry in providing intuitive, easy-to-use dynamic balancing, Coupling Alignment, shaft alignment, and vibration analysis, products that make our customers’ jobs easier. Rugged, repeatable, relentlessly reliable Erbessd products exceed industry recognized standards and more importantly exceed our customers standards. 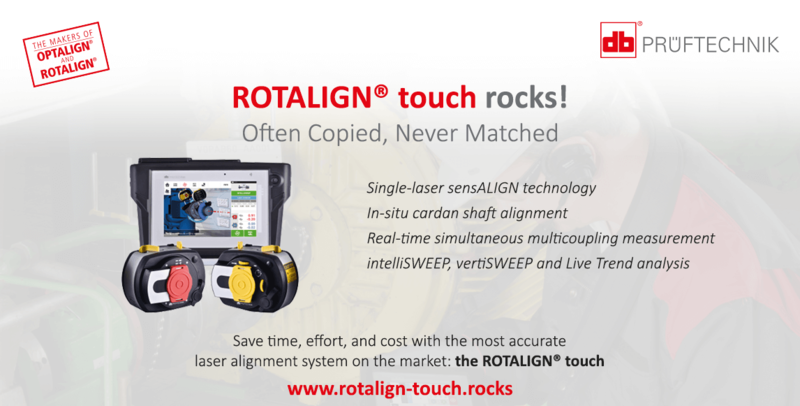 There’s finally a choice in Vibration Analysis, Machine Alignment, and Dynamic Balancing that doesn’t consume your budget. Our systems are based on the familiar Microsoft Windows® operating system, and operate in a fully rugged and industrial tablet form factor. Offering advanced features such as Cross-Channel Phase and ODS (Operational Deflection Shape) out of the box without any added costs, our products are built to delight. 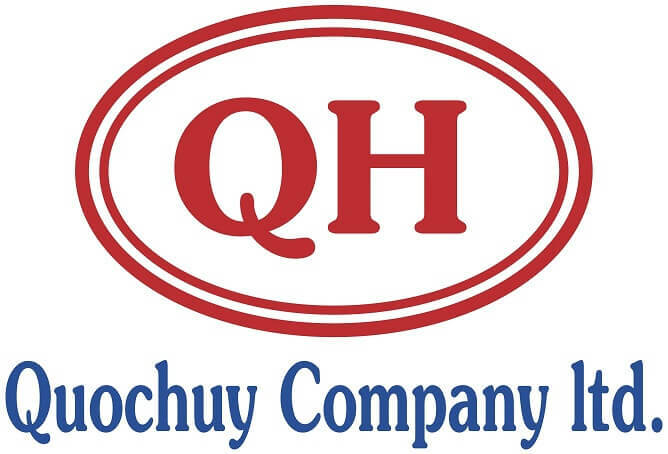 Industrial distributor for all Atlantic Canada. 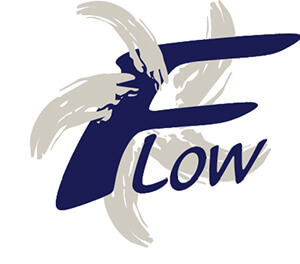 Flowstar Industrial has been in business for more than 19 years and has been offering CAT I & II courses for more than 10 years. Fundacion Murphy & Perez S.C.
Gulf Test Safety Consultancies, a UAE based Quality, Health, Safety and Environmental consulting firm with an experienced team of QHSE professionals. GTS Provides third party inspection , testing and advisory services for All types of Cranes, Lifting equipment, Lifting gears, Vibration Analysis services, Elevators, Boilers, Air Receivers, Storage Tanks and Piping, LPG Cylinders, Thermal Imaging, Power Quality/ Harmonic Analysis, Earthing and Lightening Protection Services. Being one of the ACTVET Approved VET Training provider, with a comprehensive list of health and safety training courses like NEBOSH, IOSH, NASP, OSHA, EFR, SAIA, STI. GTS provides top quality, fully accredited Training for the Construction, Oil & Gas, Hotels, Marine and General Industry. We are accredited with Emirates National Accreditation System (ENAS) and Dubai Accreditation Centre (DAC) as Class A Third Party Inspection Body. GTS Inspection helps to ensure that the equipments are fit for use and meets the statutory requirements for safe working practice. Further, we are one of the approved Grade A consultants of OSHAD (Abudhabi Envoironment, Health and Management system) for preparation and implementation of ADEHSMS and have successfully completed development and implementation of AEDHSM for many clients in UAE. ISE Industrial Service Engineering is an Italian Company leader in maintenance solutions and services. ISE’s mission is to maximize plants efficiency through innovative maintenance systems diagnostic technologies and high quality products providing condition monitoring services and equipment diagnosis we support our customers in specific consulting activities providing specific training for operators and maintenance managers. ISE operates in the following Sectors: Oil & Gas; Power Generation; Pulp & Paper; mining; Steel & Aluminium; Automotive; Food & Beverage and Chemical etc. We provide new equipment, upgrades to existing pumps, system studies, solutions to hydraulic performance and mechanical issues regarding pumps. The JEA is a municipal electric, water/wastewater provider. The Reliability Engineering is an in-house group that provides engineering, acceptance testing, oil analysis, IR thermography & analysis, acoustics, and electrical testing support services for all of our plants. JPS is an engineering company with its core business in the Industrial Reliability field. Its staff consists of highly proficient and recognized specialists working in South America for more than 25 years. JPS provides Technology Solutions, Services and Training. It has educated and trained more than 2000 people. JPS constantly develops new alliances and partnerships with technology world leader in the reliability field, bringing state of the art technology and knowledge into the region. Mechanical Consultants, Inc. provides a full spectrum of technical services including machinery condition monitoring, case specific diagnostics, laser and optical alignment and machinery repair. MCI also provides field balancing and in-house training. Specialists in gear-driven power transmission and low-speed equipment. MSI is an international provider of vibration-based diagnostic and troubleshooting services for all types of turbomachinery, rotating machinery, and reciprocating machinery. On MSI's website, case histories are available for pumps, fans, compressors, steam turbines, gas turbines, electric motors, gas and diesel engines, and process equipment and structures. MSI also performs analysis of new or re-rated equipment to quantify performance and predict life based on stress, temperature, and vibration characteristics. Tools available include Time-Averaged Pulse modal impact testing, able to be applied while equipment remains running, as well as detailed Operating Deflection Shape (ODS) rapid acquisition and plotting. 150 FFT channels are available simultaneously real-time and are also recorded at frequencies of up to 50 kHz, with lower channel counts to over 100 kHz. Analysis software includes ME'scope, ANSYS Multiphysics for finite element analysis (FEA) including models of over 25 million degrees-of-freedom, the ROMAC rotordynamic software suite, and computational fluid dynamics (CFD) analysis using the codes CFX, Star-CCM+, and Fluent. MSI also develops custom automated predictive maintenance diagnostic and prognostic systems (hardware and software specific to a given type of machine and process) on behalf of the U.S. Government, as well as on behalf of plants and machinery OEM's. Wilcoxon Sensing Technologies? 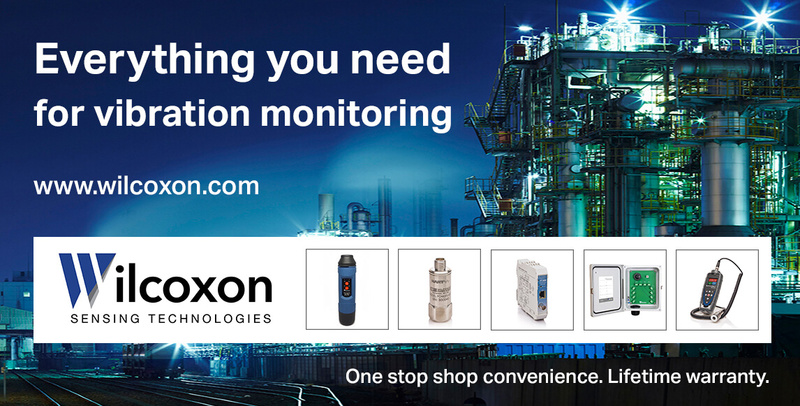 is the maker of the industry-leading Wilcoxon Research line of accelerometers, vibration sensors, and accessories for industrial condition monitoring and predictive maintenance applications. Our sensors are essential to predictive maintenance programs that save money, reduce downtime, and improve safety in plants worldwide. Wilcoxon offers Wilcoxon Research sensors with Total Lower Cost (TLC) of ownership through world-class products and services, 98% on-time delivery and shortest lead times, industry-leading product quality, and competitive pricing. Our TLC Ownership makes it easy to do business! Plus, with Wilcoxon Research sensors, you get unrivalled reliability - with an MTBF of up to 25 years, our products are the industry standard for quality vibration sensors. Metrix Instrument Co. provides machinery condition monitoring solutions to the world’s leading manufacturers and users of cooling towers, gas turbines, reciprocating compressors, and other rotating and reciprocating machinery. We have world class service and support in 40 countries via factory-direct sales and service professionals, along with a strategic network of instrumentation partners. Our vibration monitoring products include machinery protection systems, proximity probes, sensors and transmitters, signal conditioners, transducers, high temperature vibration sensors, mechanical switches, electronic switches, programmable electronic switches, impact transmitters, vibration monitors, portable shakers and vibration meters. Whether you need a single transmitter or a complete monitoring system, we have a solution that will fit your needs. 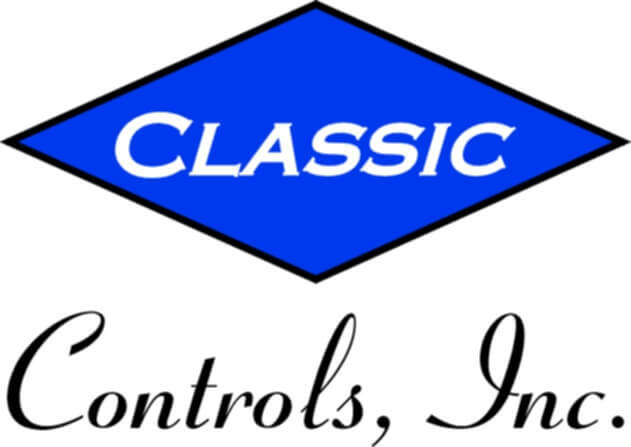 Contact us to find out how we can help you with your machinery condition monitoring program. 271 Grove Avenue, Bldg. 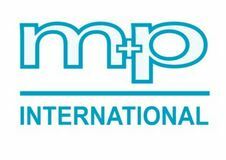 G.
M+P International has been providing complete test and measurement solutions to the world's leading companies since 1980. m+p international develops and manufactures solutions for Vibration Control, Experimental and Operational Modal Analysis, Dynamic Signal Analysis, Data Acquisition, Process Monitoring, and Test Stand Engineering from 2 channels to thousands of channels of that offered for acquisition. We also offer engineering services to provide custom solutions as well as installation, maintenance, regular software updates, hardware upgrades and repair, calibration, and rental of measurement hardware. National Instruments offers Vibration hardware and software for a wide range of industrial and development applications, including on-line surveillance, prognostics, machine diagnostics, and test cell applications. National Instruments vibration hardware features 24-bit ADCs at sampling rates up to 98kHz bandwidth in Industrial embedded platforms and Industrial Computers (PXI, PCI, USB) for flexible, accurate measurements.Vibration analysis software, (including interactive, configuration-based and National Instruments LabVIEW) offers signal processing for machine vibration order tracking with orbit, shaft centerline, bode, and waterfall displays. In addition, other measurements include transient analysis, acoustic measurements, fractional-octave analysis, and flexible frequency analysis. Skilled Engineers Providing Advanced Rotating Machinery Dynamics Expertise & Software. An international leader in the design and development of software, RBTS' Advanced Rotating Machinery Dynamics (ARMD) package is recognized as the worldwide leader for rotating systems and support bearings for design, performance evaluation, and troubleshooting. Services include Rotor Dynamics, Torsional Vibration, Bearings & Bearing Systems, Field Measurement, and Analysis (Vibration, Strain, Modal and Balancing), Failure Analysis and Corrective Actions, Feasibility, Retrofit, and Design Audits, Training and Techology Transfer. Software includes: Rotor Dynamics, Torsional Vibration, Fluid-Film Bearings, Rolling-Element Bearings, Lubricant Analysis, and Customized Software for Rotating Machinery Dynamics and Bearings. Relytech Reliability Solutions (OPC) Private Limited is one of the leading companies in the field of industrial reliabilty with a multi-demensional approach to increase plant reliability. The company has a strong background of experienced professionals and research scholars from diversified fields like production, manufacturing, computational fluid dynamics, maintenance and condition-monitoring, etc. The company also provides technical training for vibration analysis up to ISO CAT IV and executes condition-monitoring services. Electrical motor repair/sales/field service. Rotating apparatus repair/sales/field service. Custom switch gear, control systems, portable substations, etc. Tekwell Services provide: electric motor sales and repair; Repair of gearboxes and motors; Field Service to include: removal, installation, infield repair, alignment, field balancing; and predictive maintenance services to include: Vibration analysis and oil analysis. Product Sales -- This includes high end and low end equipment. CBM Engineering Services -- This includes IR thermography, oil analysis, vibration analysis, electrical motor testing (dynamic and static technologies), balancing and laser alignment Certification Training Courses -- All of these in the following divisions - mechanical, Thermography, and electrical. TERMORAM represents exclusively the best manufacturer firms of CBM equipment and we have highly qualified and trained personnel with International Certifications to warrant an optimal use of our products and services for your benefit. Total Solution System Integrator Sdn Bhd (TSSI), a Malaysian registered private limited company has been active since 1999. TSSI is an established and fast expanding company that has gained acceptance and recognition for the provision of technologically advance Condition Monitoring products (specializing in Vibration, Alignment & Balancing Systems & Solutions) coupled with supreme professionalism to support such activities including consultancy & training. Our vision is to be the leader in Asia Pacific in helping companies to improve their competitiveness and profitability through technological improvements and modernisation of maintenance programmes. 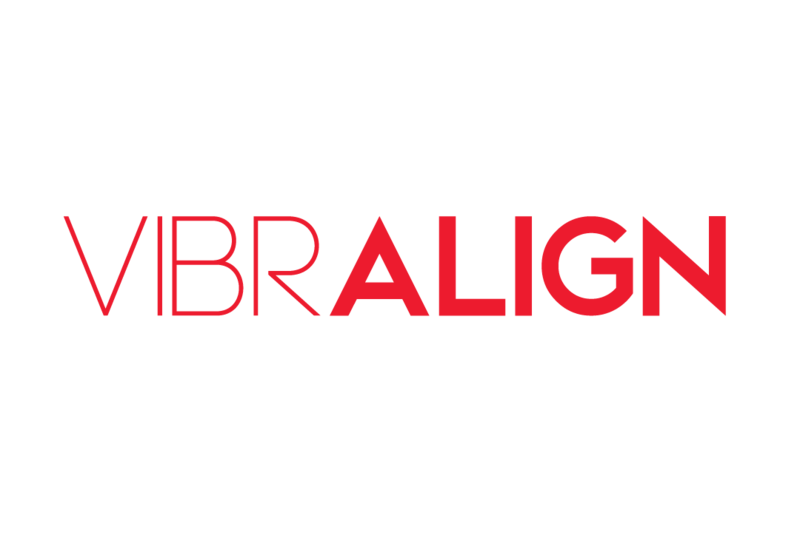 VibrAlign provides condition monitoring and alignment tools, training and service. 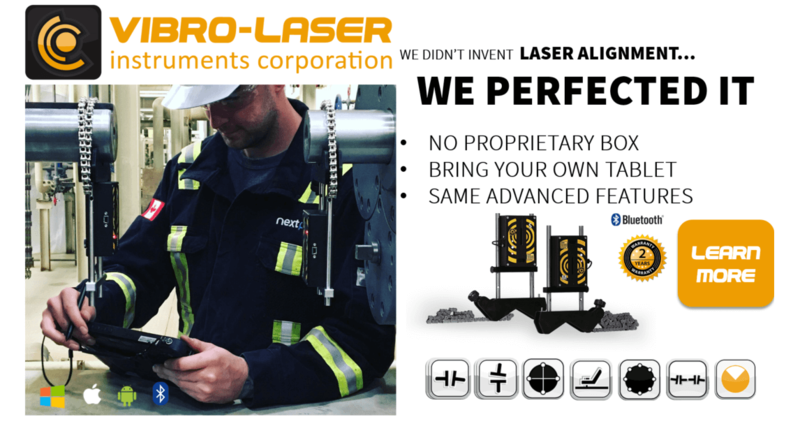 WE are the U.S. distributor of Fixtunlaser alignment tools and ONEPROD condition monitoring hardware and software. Vibration consultant, advanced vibration analysis, monitoring vibration analysis and stress analysis by telemetry up to 128 channels, ODS transient analysis, Operating Modal Analysis, Modal Analysis with shaker and FRF Finite Elements Analysis. We have more than 30 years of experience giving services of advanced vibration and stress analysis in South, Central and North America, and the Middle East. Vipac Engineers & Scientists Ltd is a leading Australasian engineering consultancy with offices located throughout all Australian capital cities. Vipac has over 40 years experience in vibrations, and extensive expertise in Transport, Marine & Offshore, Mining, Manufacturing, Power & Energy and Systems. Vipac’s areas of expertise include vibration condition monitoring, Advanced rotor dynamics, Thermal imaging, Torsional vibration, Laser alignment, Customised online systems, Pipe pulsation/dynamics, Fluid dynamics, Structural dynamics, Fatigue analysis, Durability and damage tolerance analysis, Troubleshooting and redesign, and Commissioning and auditing. Vipac are committed to innovation and service excellence. Reliability Engineering and Services: Machinery condition monitoring and diagnostics including vibration analysis, oil analysis; field dynamic balancing; contract manpower including trained technicians and engineers; consulting, including plant reliability assessments, vibration program set-up, root-cause failure analysis, finite-element analysis of machinery and structures.